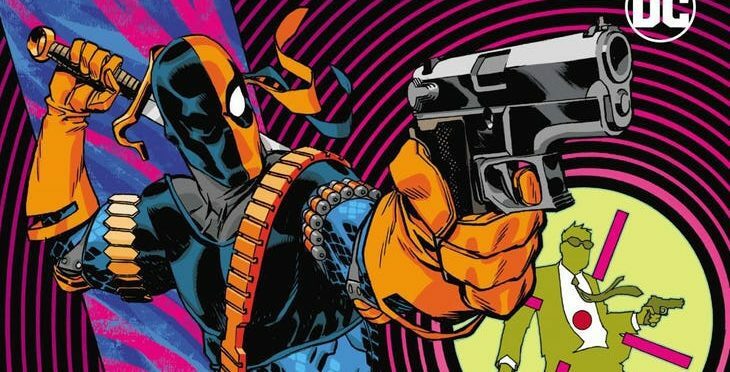 Deathstroke’s run at Arkham was wild, but it was high time Slade Wilson got back to what he does best. He does that in Deathstroke #41. Only, killing isn’t quite as simple as it once was. 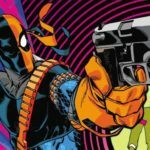 Slade was hired to assassinate someone as soon as he escaped from Arkham and took out those homeless men (or Pulorians). But it wasn’t a normal target. In the past, he wouldn’t care. A contract’s a contract. Not the case anymore. With the help of his daughter Rose, Deathstroke comes to the conclusion this has all been a test. The only problem is Rose believes “The Other” is who hired Slade. Deathstroke describes The Other as a “spooky story” criminals use to keep one another in line. Somehow, Commissioner Jim Gordon knows about The Other, too. He brought it up at the end of his conversation with Wintergreen, which he didn’t seem to appreciate. 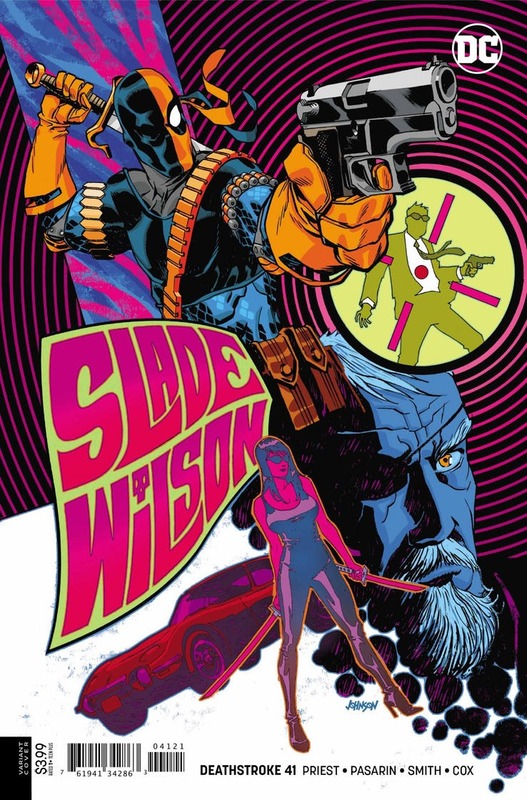 Gordon and Deathstroke’s “friend” spend Deathstroke #41 discussing Slade in lieu of his recent showing in Gotham. Wintergreen’s role in this ordeal remains complicated, to say the least. 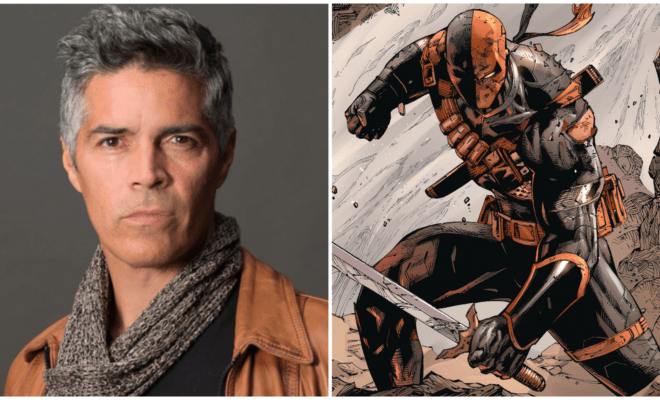 He believes they’re still friends, yet he’s recently worked with Slade’s vindictive wife and now Gordon against Deathstroke. But Wintergreen claims he’s still trying to help Slade? He keeps straddling the fence. 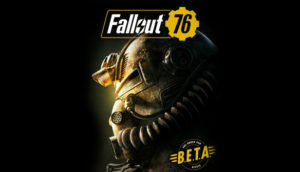 Pick a side. The reason Wintergreen is in Gotham is because of the mess his old friend has made in the city. 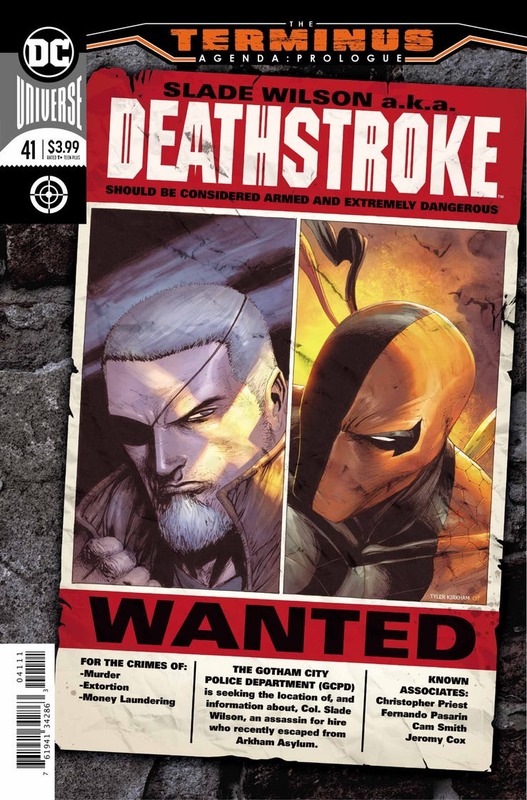 Deathstroke #41 not only puts Slade back in the game mentally; he’s on the attack or being attacked, from the start. Fernando Pasarin has Deathstroke on his toes from the jump, and no one is safe from his blowouts, not even civilians. 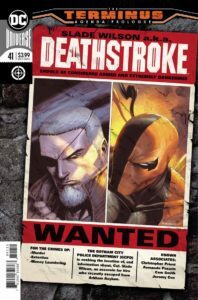 Deathstroke #41 is the perfect blend of Christopher Priest’s writing and intense action—which are the two things readers expect every time they pick this title up.